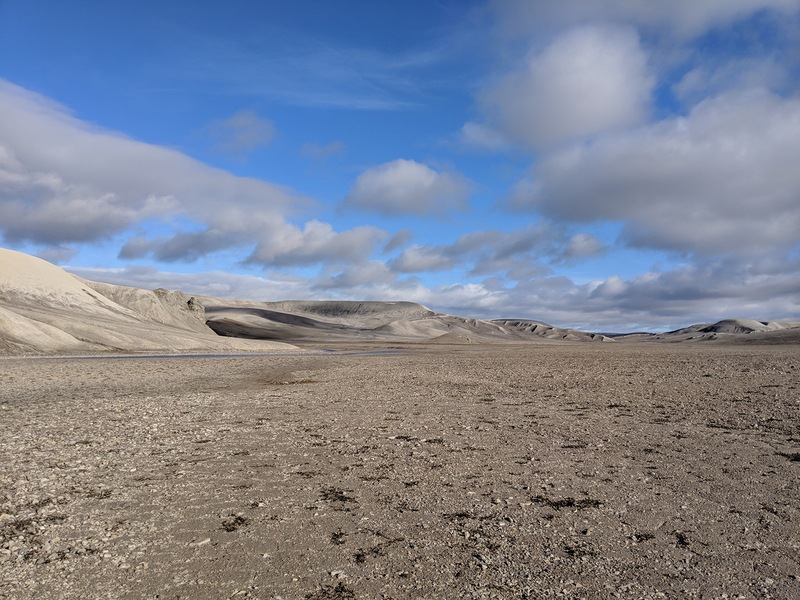 Devon Island in the Canadian High Arctic is the largest uninhabited island on Earth and the most Mars-like environment on our planet, which is why NASA has chosen it as a base for its research and planning for a future mission to the red planet. Devon Island in the Canadian High Arctic, the planet’s largest uninhabited island and the closest thing to Mars on Earth, can now be explored virtually via Google Street View. The new Google project, which launched today, also features other visual assets to help aspiring explorers get a feel for the unique landscape of Devon Island and the research being done there, including a 10-minute documentary about NASA’s work on the island and a Google Earth guided tour. The project was led by Katja Minitsenka, a program manager with Google, in collaboration with NASA, the Mars Institute and the SETI Institute. “Google allows us a very unique opportunity to work on projects we’re passionate about,” explains Minitsenka, who has always had an interest in space exploration. Last March, she teamed up with Dr. Pascal Lee, chairman of the Mars Institute and director of the the Haughton-Mars Project (HMP), a field research project on Devon Island that’s funded by NASA. After three months of preparation, Minitsenka, along with a small team of Googlers and NASA scientists, set out on a week-long expedition to HMP’s base camp on Devon Island. The mission wasn’t easy. Due to the harsh climate, the expedition could only be conducted within a small window of time in mid-summer — “The only time when the island is not completely covered by snow,” says Minitsenka. The dry, rocky Breccia Hills on Devon Island. The unique geology of the island offers insights into how Mars was formed. Devon Island has no permanent infrastructure, so the team had to pack all their supplies in and waste out. During the long Arctic days, they travelled on all-terrain vehicles (ATVs) over rocky terrain, sometimes getting bogged down in thick mud. They also had to be on the lookout for polar bears. But the team was able to get what they needed and visit all the points of interest that NASA’s researchers are investigating. Dubbed by scientists as Mars on Earth, Devon Island is a polar desert, even colder and drier than tundra. It’s a biome that’s practically unique on Earth, save for a few areas in Greenland and Antarctica. The island also has a large meteorite impact crater and other geological features such as canyons, valleys and gullies, all of which make it an ideal staging area for research and training for a future mission to Mars. Although astronauts may not visit Mars for another two decades, the goal of the Devon Island project is to help plan for future exploration of Earth’s closest neighbour. As for Minitsenka, she hopes that being able to virtually explore the most Mars-like environment on Earth will inspire young people to enter into fields such as science, geology and engineering — or any field that will give them a path to exploration.